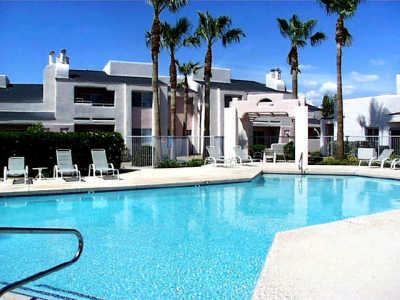 Clean pool and grotto area open 24/7 for your enjoyment! 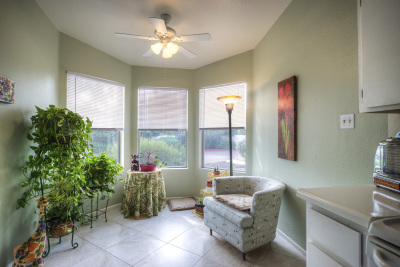 Large amounts of natural light comes through the beautiful bay windows in our town homes two bedroom apartments. 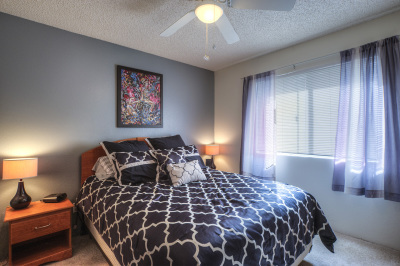 These floor plans allow for a large master bedroom including large walk in closets, attached full bath, ceiling fans, and large windows. 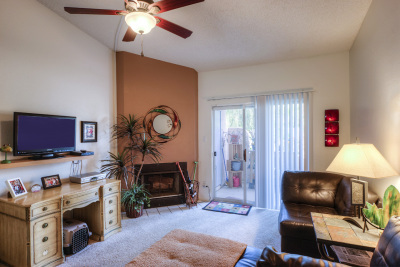 Our large living rooms include a wood burning fireplace, sliding patio doors to balconies, and some floor plans have vaulted ceilings. 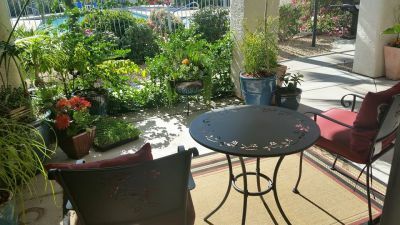 Beautifully appointed courtyard adjacent to our pool area. Its a hummingbirds haven! 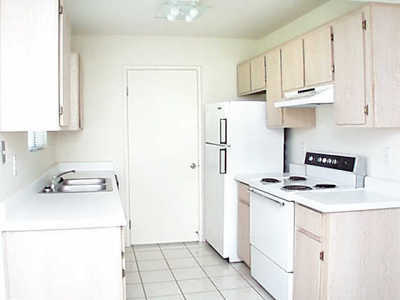 All appliances are either new or 1 year old, tiled flooring, pantry, and large cooking area.